About a Boy, Changing Lanes, Femme Fatale, Gangs of New York, Solaris, Talk to Her, Whale Rider. And yes...it pains me to have a movie by Chris Columbus on there...but I really do love that second Potter film. Although I would have no problems placing any of the "Honorable Mentions" in that slot...especially something as unique and fun and aesthetically beautiful as Femme Fatale or Talk to Her...what can I say? Oh boy, this is one year where we don't agree much at all. I particularly am no fan of the Spike Lee film that is listed there on top. But's that's cool. Everybody takes something different to the table of assessment. My #1 film (Kevin's #6) is Haynes's FAR FROM HEAVEN, which is also my top film of the decade. 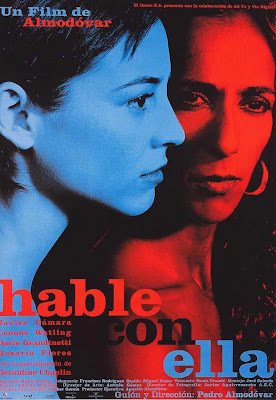 But Almodovar's TALK TO HER is also one of the decade's geatest films, and I would make room for Daldry's THE HOURS in the mix, as well as CITY OF GOD, Y TU MAMA TAMBIEN and some others. Terrific presentation in every regard. I hate to admit it but I have yet to see CITY OF GOD, FAR FROM HEAVEN, or THE HOURS. I'm a big Cuarón fan, but personally, I can't stand Y TU MAMA TAMBIÉN. It just strikes me as contrived from top to bottom. I might revisit it, because so many people I respect are fond of it. 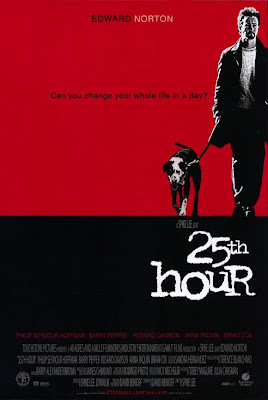 So what is your issue with 25th HOUR, I'm curious? 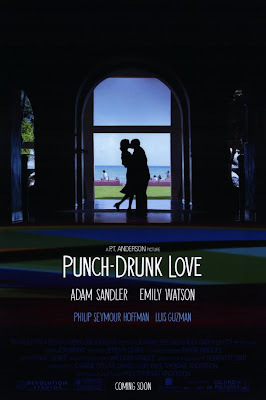 If I may add to Tony's curiosity, Sam, I think you should five 25th Hour another try. It's a film that gets better with subsequent viewings. I think it's one of the more underrated films of the decade and resonates each time I watch it. Happy to see Minority Report and Femme Fatale on here- Spielberg and De Palma truly did pump more juice into the noir genre just when we thought it was dead. About (SPOILERS) the ending of Minority Report, I know a lot of people are bothered by it and think that it's just too good to be true... but you see, I like it for two reasons: a) Max von Sydow's performance as Lamar Burgess is both chilling and, well, heartbreaking, since his suicide scene is so painful to watch, and b) with Burgess' death comes the death of both Precrime and the entire American justice system. The only people who really benefit are Anderton and his wife, since they're especting another child- however, the bittersweetness of it all is that their son Sean was never found. Agatha and the Precogs, meanwhile, are still going to have to live with their tortured visions, even when off in a secluded area. And again, the country is left without a justice system, which I find amazingly pessmistic. Burgess' end is a lot like John Hammond's downfall at the end of Jurassic Park, actually. Both are Spielbergian characters with good scientific intentions who let their exaggerated ambitions corrupt their common sense. Now, what about Polanski's The Pianist? I'd say that was the best film of the year. I've always considered City of God to be a 2003 film. I know it premiered during those 2002 festivals, but I remember back when Roger Ebert got a lot of complaints about why he didn't put the film on his Top 10 of 2003 list (since it was nominated at the Oscars for 2003), and he replied that he had placed the film on his Top 10 of 2002 list. But since I didn't even know about the film itself until 2003, I've always associated it with that year- of which it was one of the best. Truth be told, Adam, I haven't yet seen THE PIANIST. I've owned it on DVD for years and still can't bring myself to see it, and I'm a Polanski fan. But something about it strikes me as particularly heartwrenching. I have to get to it. As for the ending of MINORITY REPORT, you make interesting points that were not lost on me. Though I think you exaggerate when you say it brings down the whole American justice system, since it is clearly stated in the film that Precrime is still strictly confined to the DC area (I like that, since it addresses the duality of it as the nation's capital while being a hotbed of corruption... much like today). I still find it inescapable that all of the interesting points you bring up are marred by the fact that the film cribbed its ending from THE FUGITIVE. Interesting list. Wouldn't have much overlap with mine, but I like most of these well enough. Russian Ark is the 2002 stand out to me, along with Punch Drunk Love and 25th Hour. I actually just watched HERO for the first time (and beautiful it is, yes, but I can't get past the tyranny) and I think Taymor is a pretty terrible [cinema] director. Haven't liked any of her stuff. She should stick to theater where her assets remain assets rather than turning into distractions. But that's just me. 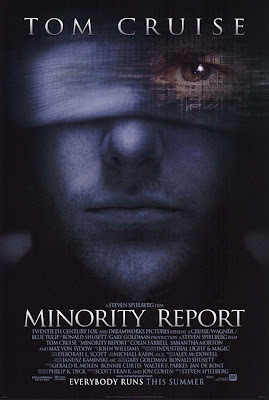 I still need to see Minority Report. I own it somehow, but never watched it. Might do that over Xmas. Keep up the good work, Tony! As for HERO, my politics tend to run kind of leftish, but I seldom have a problem seeing opposing viewpoints in films. In this case, one could argue that the film supports socialism, but in reality it champions the virtues of an autocrat, which I completely disagree with. 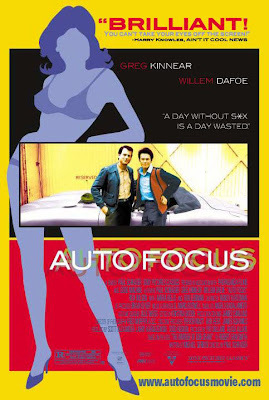 However, as long as said opposing viewpoint is expressed artfully I can still appreciate the beauty of the film, that is the expression of its text if not the text itself. Why do you have a distaste for Taymor? 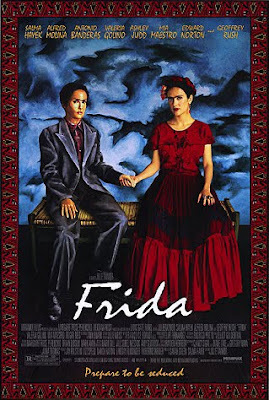 I love how her theatricality flavors her films (especially FRIDA and TITUS). From your list, i have yet to see Adaptation, Femme Fatale,Auto Focus and Talk to Her. 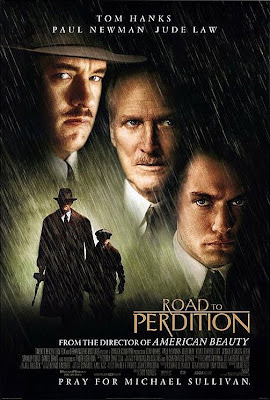 Road to Perdition is a classic for me in the gangster genre. 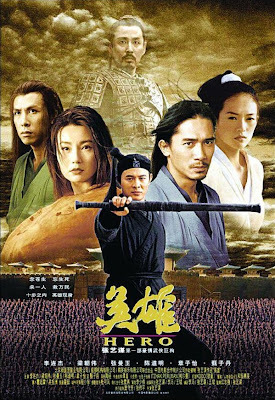 Regarding the pro-authoritarian streak in The Hero, i had written on this earlier at http://passionforcinema.com/ramblings-on-the-hero-i/. Take a look if u can. Bourne Identity- Though the trilogy had no relation to Ludlum's original novels, it neverthless worked well as a summer popcorn entertainer. Pianist- One of the best Holocaust movies. Insomnia- Christopher Nolan's transition from an indie environment to a more mainstream one, worked well. The opening shot of the plane flying over the barren Alaskan wasteland, was one of the best in recent times. As also the awesome shots of the Alaskan landscape, and also it's exploration of the hero's inner demons. And not the least for managing to get wonderfully restrained performances from Pacino and Williams, two actors who can be complete loose cannons at times. About Schimdt: Warm,fuzzy look at the post retirement blues of an Insurance executive. Wonderful to see Jack Nicholson in a role, where he is not required to bluff or bluster around. Lord of Rings, 2 Towers. Signs- Last good movie Shyamalan made. Ring-One of my favorite horror flicks, just love that shot of Samara walking out from the TV in the ending. City of God- Classic. The opening shot of the chicken being chased by a street gang, and then the way the camera transitions to the protagonist's childhood days, just too good. SIGNS had potential, but the resolution was idiotic, and the film itself too derivative of NIGHT OF THE LIVING DEAD for me to give any consideration to. I agree with you on INSOMNIA, a remake I like as much as the original. BOURNE IDENTITY was okay, but the series didn't really take off until Greengrass brought in some kineticism. A fan of the master like yourself has yet to see FEMME FATALE? 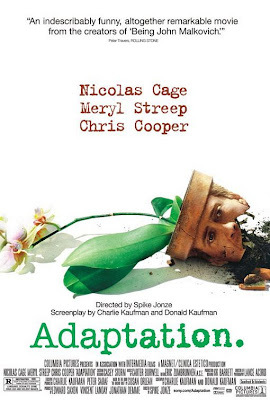 Get thee to a DVD store pronto, and pick up ADAPTATION while you're at it. Femme Fatale, came at a time, when my faith in BDP was at the lowest. So missed it out, anyway considering what i heard about it, this one and ADAPTATION are on my must see List.